Looking at the topic and violent scenes that could be found in The Hunger Games, a rating that allows teens to watch the film was a rather generous gesture for some spectators. The BBFC was a little more strict when they assessed the film and only granted it a "12" rating after several cuts. An uncut "15" was available, but not really an option for the distributor of such a costly blockbuster. The solution came on home video later on, when the DVD got the censored version and the Blu-ray was equipped with the uncut version of the film (see comparison). Now, the second part is about to be released in UK cinemas and the question is whether it had to suffer a similar fate. Fortunately, that is not the case, this time there's no censorship issue with the film and the BBFC 12 rating doesn't have to make interested viewers suspicious or hunger for more. 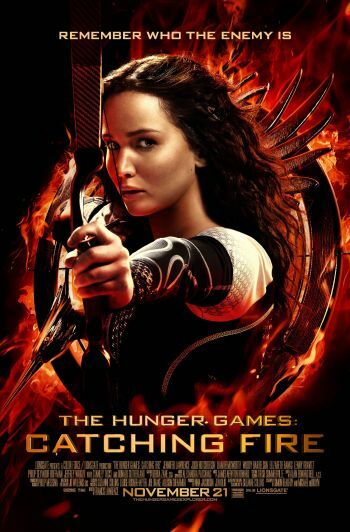 The Hunger Games: Catching Fire starts in UK cinemas on November 11th, 2013.